"Hoarder" redirects here. For other uses, see Hoarder (disambiguation). The Hoarder Mouse is an Event Mouse found during the annual Great Winter Hunt event. Hungry, Hungry, Hoarder! This general just can't get his fill of arctic asiago! Working hard at packing on those pounds to build a solid winter bulk! This mouse definitely won't be an easy pushover! A Winter Hoarder charm will be required to attract this mouse. Information on how to locate and capture the Hoarder Mouse can be found on the current Great Winter Hunt location page. 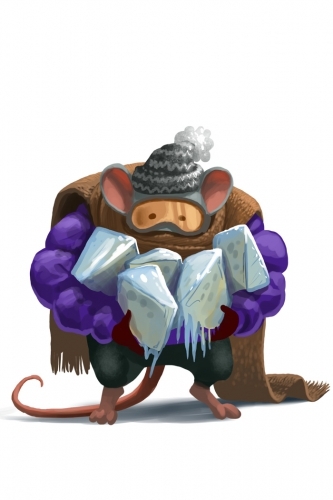 9 December 2014: The Hoarder Mouse was introduced as part of the Great Winter Hunt 2014 event. 13 December 2016: The gold for Hoarder Mouse was changed. This page was last edited on 18 December 2017, at 16:55.